Family dynamics are the interaction between family members as well as the varying relationships that can exist within a family. Every family has its own dynamic, which manifests in its own way. Uncovering these relationships can help you better understand your family as well as others', including how families function. 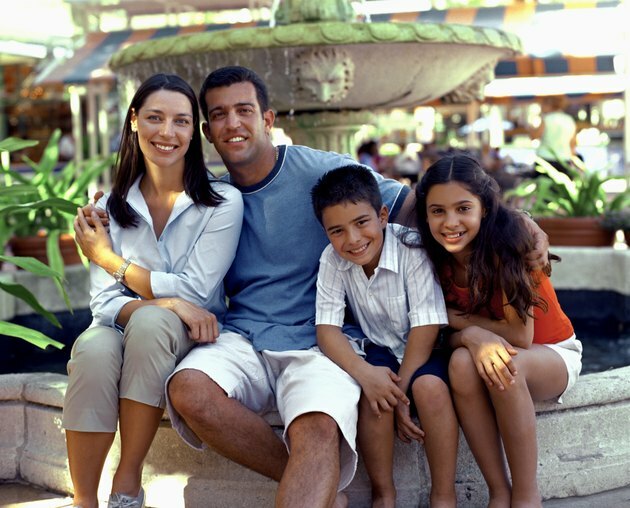 Family dynamics are one part of a larger system, defined by the individual members' relationships with each other. Families exist as their own structure made of people who share bonds and a sense of history and endeavor to meet each other’s needs. These core qualities set the stage for family dynamics -- without a structure, these dynamics cannot play out. Dynamics are affected by many factors, including the number of children or a family's culture. For example, a family with many children may have rules pertaining to which child does certain chores. Genograms are a handy way to discover your family's dynamics. Like a family tree, genograms display the many generations within a family, but take it a step further by including the relationships between family members. You may draw a dotted line to your mother to indicate that you shared a strong bond or a jagged red line to your father to indicate a strained relationship.